Brass Investment Casting Foundry & Services | Milwaukee Precision Casting, Inc.
Milwaukee Precision Casting, Inc. is a leader in the manufacturing of brass castings, from as small as a few grams up to 25 pounds. Other brass grades are available for casting upon request. Contact us with your specific requirements such as corrosion resistance brass castings, machinability brass castings, or strength, and our engineering staff will assist you in selecting the specific brass investment casting grade that meets your needs. 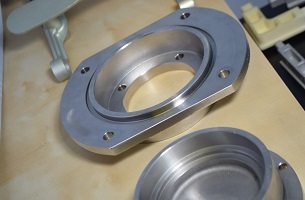 Milwaukee Precision Casting, Inc. also has the capabilities of providing additional services such as machining, polishing, and plating of brass investment castings. Please contact us and let us know how we can serve your brass casting needs.